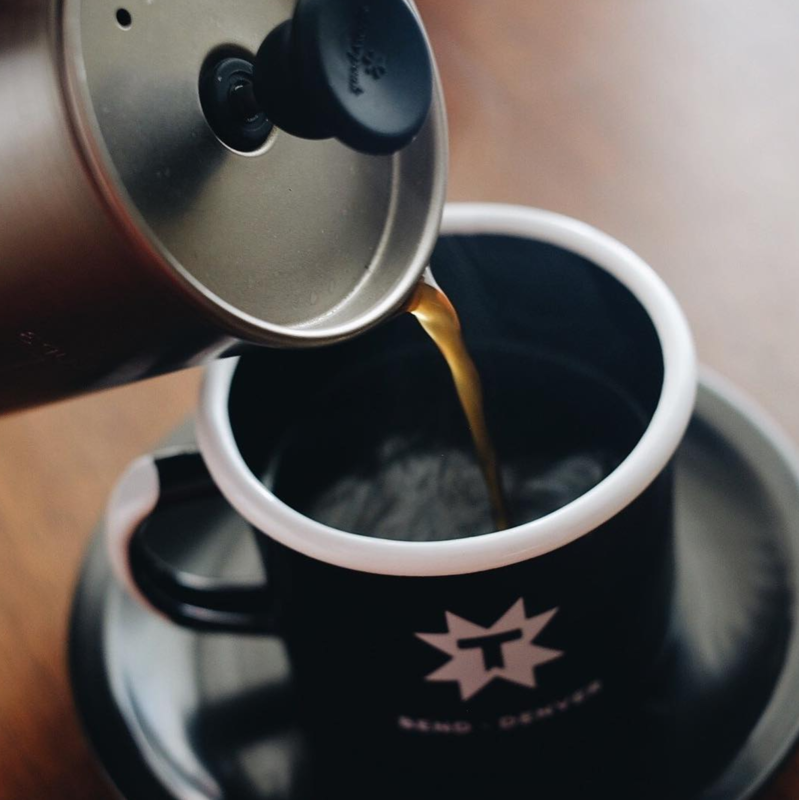 Central Oregon is widely known for its brewery scene (Deschutes, 10 Barrel, and Crux are just a few of these), but what about the most important brew of the day: coffee? 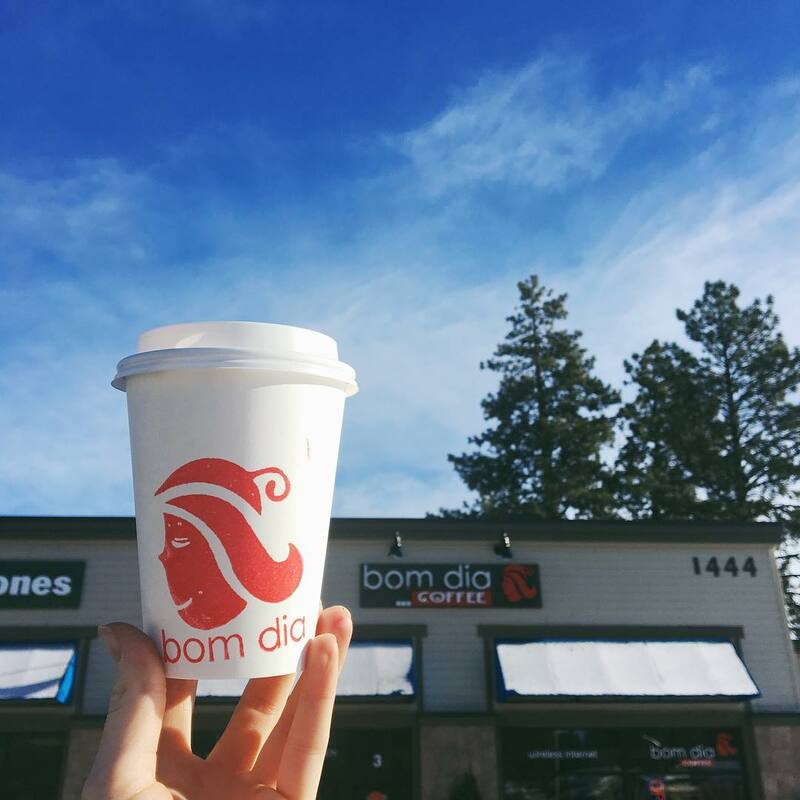 Bend is home to some of the best coffee in Oregon, let alone the Pacific Northwest. And what goes great with an awesome coffee? A pastry, of course. 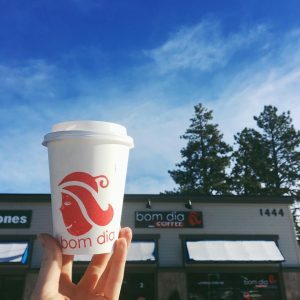 So sit back, sip something warm and relaxing, and get acquainted with some of the top spots to caffeinate and rejuvenate in Central Oregon. Tucked in a mellow alley in downtown Bend, Thump is a local favorite. It was one of the first mainstay coffee spots in Central Oregon for a reason, with flavorful roasts, friendly service, and an altogether cozy vibe. Whether you’re catching up with old friends or trying to get work done in peace, Thump offers high-quality beverages of all kinds. Although they’re all delightful, my favorites are the latte (which is especially yummy with lavender), their spicy Mayan mocha (delicious both iced or hot), or their robust drip coffee. Not a fan of coffee? No worries. They also offer a bold house made chai that packs a punch, with both spicy and sweet notes. This popular coffee spot, located at the foot of College Way, is the perfect spot for students wanting to cram study before an exam while drinking an excellent cup of coffee. Boasting house made syrups, bold beans, and an awesome location, Bom Dia speaks for itself. Additionally, in the summer, their patio is picturesque, with hanging baskets and sunny tables to help set the perfect tone for the rest of your Central Oregon day. What’s the takeaway here? Great coffee and fantastic ambiance. You don’t want to miss it. With two cozy Bend locations, Sparrow Bakery is a fantastic spot to catch up on work, sip a hot cardamom latte, and enjoy one of their heavenly pastries. 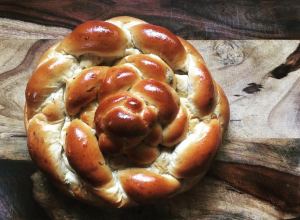 Specializing in French technique, Sparrow Bakery cranks out some of Bend’s finest croissants, cookies, breads and Ocean rolls (aka the cardamom-and-sea-salt-pastry of your dreams). They also serve Oregon coffee exclusively, supporting local coffee shops such as Backporch while brewing Stumptown from the neighboring Portland area as well. Located near Thump on Tin Pan Alley, Lone Pine is the perfect morning escape. It’s laid-back feel and signature food offerings will make you feel at home the moment you walk in. The coffee and the homemade chai speak for themselves, and will leave you wanting more and more. Couches, tables, and even old-school desks make up the indoor and outdoor seating areas, making this an ideal spot for a coffee, waffle, and yes, an Instagram shot. Need we say more? Looking for the perfect loaf of Whole Wheat Levain? Look no further. Seeking out a fruity scone loaded with a sweet and buttery flavors? The Village Baker has you covered. This Central Oregon mainstay has a reputation for wholesome baked goods, made with fresh and organic ingredients, so it’s no wonder that they have a cult following. Their pastries are top notch, but if you’re in during a lunch hour or just for an afternoon pick-me-up, go for their homemade tomato soup, which comes with a freshly baked rosemary roll. Or if you’re sweet tooth is calling out, try the classic pain au chocolat, which is their world-class croissant with decadent chocolate on the inside. As with the previous two shops, Backporch has a local reputation for cranking out some of the smoothest roasts, and always accompanied by fantastic service. With three different locations around Bend to choose from, it’s an awesome spot to enjoy a pastry from various local bakeries (Sparrow Bakery included), read a book, and sip on a vanilla lavender latte. But if you’re not into the frilly coffee, Backporch offers specialty coffee beverages, so the coffee savant in all of us can have a day out. Although it’s the new kid on the block, Fearless Baking has been wowing customers with their wide selection of cupcakes, muffins, sandwiches, coffee beverages, and, oh yeah, gluten-free goodies. You heard me correct: gluten free. Located more toward the north end of town, Fearless has already mastered a wide variety of yummy treats, from their homemade rosemary English muffins (available both regular and gluten free) to their seasonal fruit tarts and beyond. Be sure to try the English Muffin Breakfast Sando, which features one of their homemade English muffins, locally sourced meat from Childer’s and Tillamook cheese. It’s the perfect way to ease into any morning. Last, but certainly not least, is Strictly Organic. With locations near downtown and the Old Mill, Strictly Organic is a great spot to enjoy a cappuccino, meet up with friends, and even enjoy a delicious omelet or pastry. Their coffee is smooth, strong, and perfect for a crisp autumn or winter morning. Check out their flavorful breakfast burrito, packed with scrambled eggs, cheddar cheese, potatoes and your choice of ham, bacon, veggies or even vegan additions for extra oomph. Or try their homemade granola, crispy and crunchy, with a touch of sweetness. Madeline Churm is a PNW blogger for The Where to Eat Guide. She enjoys a mean grilled cheese sandwich, the occasional piece of chocolate cake, and a well balanced kale salad. Born in Santa Fe, New Mexico, Madeline has lived in the PNW for over 21 years, enjoying every delightful bite that Oregon has to offer. She recently graduated from OSU with a Bachelor's degree in Liberal Studies. Follow along on Maddy's culinary and lifestyle Instagram, @MaddyChurm. Best breakfast and cafe in Bend, Oregon is Palmer's Cafe. Been my favorite for 50 years in Bend.